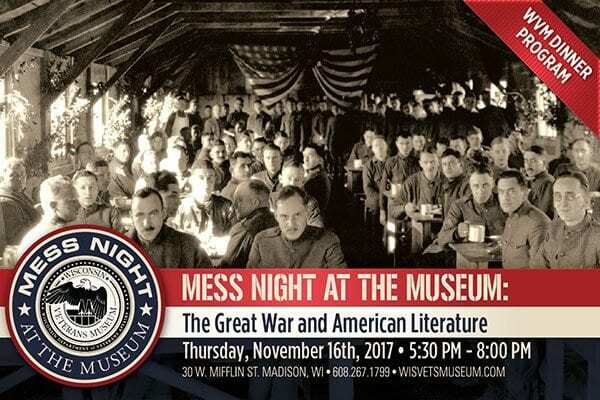 Join us for a quarterly dinner event, MESS NIGHT AT THE MUSEUM: The Great War and American Literature. Featured guest speaker Marguerite Helmer, PhD, professor emerita of English, UW Oshkosh, will describe famous and lesser known works of literary fiction that emerged from the First World War. In addition, she will discuss American authors Willa Cather, Edith Wharton, and John Dos Passos.